It’s called a SPRING UP GALLERY. 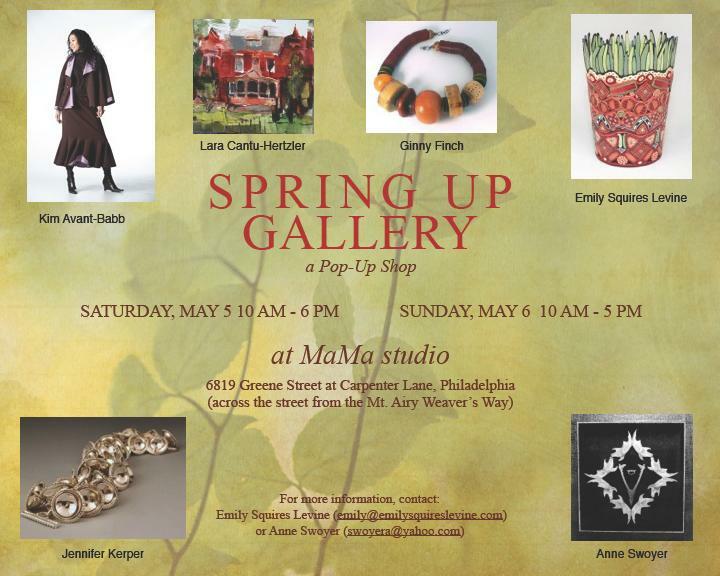 For one weekend only, join member Emily Squires Levine plus five local, fine artists featuring new work at MaMa studio in Mt. Airy. Dates: Sat May 5 (10-6) — Sun May 6 (10-5). Not a Member? You Should Be.